Men, I want to talk to you for a moment about what your wife wants for Valentine’s Day. I’ve got good news for you, because my gift idea doesn’t involve standing in line at a store (and you can get it on sale right now!). You see, my husband and I have been together for more than a decade of Valentine’s Days. He used to get me flowers. I don’t like flowers. They look pretty for a few days. Then they turn brown and die and get stinky and I have to throw them out and I don’t like them because they are brown and stinky and so I ignore them and they get worse… But he got me a gift, so I didn’t want to say “I don’t like it.” I finally did, and he stopped buying me flowers, and we’re both happier. In ten years of Valentine’s Days (plus anniversaries and Christmases and birthdays), you can use up a lot of gift ideas. He’s gotten me books and movies and a Jeep TJ and more. As I look back on the years of gifts, I’m starting to realize that the ones I really appreciate are the ones that involve spending time together. Things are just things. They take up space in our home. Memories, however, last forever and build our relationship. MELT is one of those memories we’ve shared. It’s a video massage course that teaches couples how to massage each other. I gotta say, I love a good foot rub, or a leg rub, or a head massage, or a back massage, or… well, you get the point. Denis Merkas is a professional masseur and he teaches couples how to do all the massages. So whether your wife loves a foot rub or a head rub, Denis will teach you how to do it so that she’ll melt. The Melt Massage videos are a gift that keeps on giving. Unlike Valentine’s Day flowers, the massage courses will last longer than a few days or weeks. You can give it to her again and again and again. (And she can give it back to you!) This is especially great if her love language (or yours) is either quality time or physical touch, because you’re spending time together touching each other. 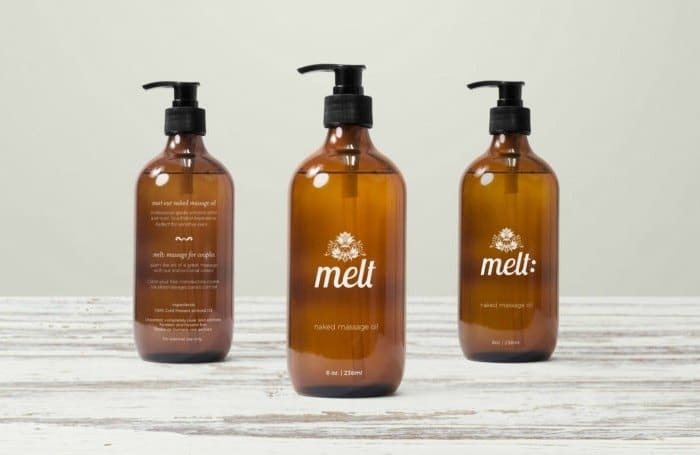 This year, Melt is hosting a special invitation-only sale on their videos AND their new massage oil. You can get the Melt MasterClass series plus the Bonus Foot Rub Videos for only $99. If you buy the Melt Massage oil, you’ll get an extra 20% off the Valentine’s Day Bundle. Everything you need to start giving each other massages, right away. This is the same oil Denis has used for the past 17 years! Guys, this is a great deal! Having the right massage oil makes a huge difference in your massage. Hubby and I tried massaging without oil a few times, because I’d bought the videos without getting oil for us. Then I tried to find the right oil… and it was hard to know where to start looking for massage oil! You’re not going to find it at your local grocery store. So don’t make the mistake I did—buy the videos and then order the Melt Massage oil right away so you’re ready to go! Plus, Melt has some free printables to make giving massages more fun! Included in each purchase of the Melt massage videos during Valentine’s is a series of IOU vouchers. Give one to your wife in the morning and she can redeem it later that night. There are also punny printables. These make for a fun treasure hunt on Valentine’s if your kids are around and you can’t share massages but you still want to make Valentine’s exciting. All printables are free to download (even without purchasing the Melt massage videos). So, guys, register for this exclusive sale. Grab your oil bottles and videos. And surprise your wife this Valentine’s Day. You’ll both have fun with this gift for years to come. What Valentine’s Day gifts has your wife loved? Have you ever tried a couples massage? I received compensation for this post, but all opinions expressed are my own; I bought the videos several years ago and we enjoy doing massages together.